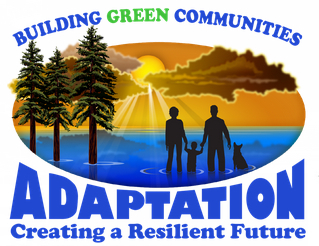 ARCATA – Humboldt Plan It Green is holding its sixth annual Building Green Communities conference from Thursday, July 19 through Saturday, July 21, highlighting the theme, Adaptation: Creating a Resilient Future. 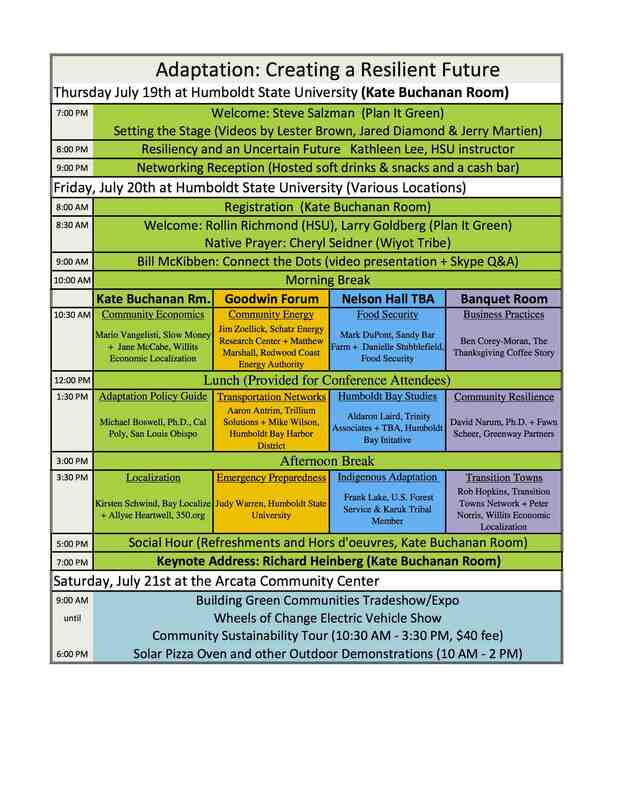 The conference starts with a symposium on Thursday evening, July 19 and continues all day Friday July 20 at Humboldt State University featuring notable speakers including Bill McKibben (world renowned author, environmental policy advocate, speaker and founder of 350.org), Richard Heinberg (leading national energy expert, Senior Fellow at the Post Carbon Institute and the author of 10 books including The End of Growth) and Rob Hopkins (Co-founder of the Transition Town movement and of the Transition Network). Some speakers will present live and some via webcast. On Saturday, July 21, the conference moves to the Arcata Community Center for the Green Tradeshow/Expo, including the Wheels of Change Auto Mall and Community Sustainability Tours that include a Permaculture Tour and Indigenous Adaptation Wisdom tour exploring Yurok traditional practices and adaptation techniques. This entry was posted on Thursday, July 19th, 2012 at 7:57 am	and is filed under News, Community, Business, Environment, Technology, Humboldt State. You can follow any responses to this entry through the RSS 2.0 feed.